This is kind of fun. 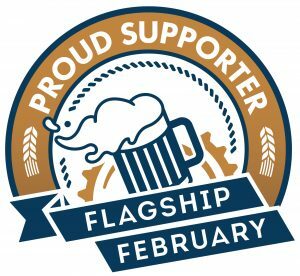 A few years ago, the California state senate declared that February was California Beer Month using language I helped draft. Other states have followed suit, as well. 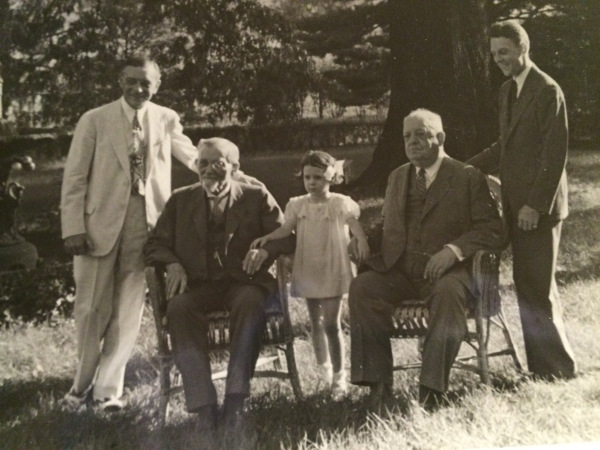 But now the U.S. Senate has unanimously passed a national resolution, S. Res. 188 recognizing the efforts of small breweries nationwide and American Craft Beer Week in particular. 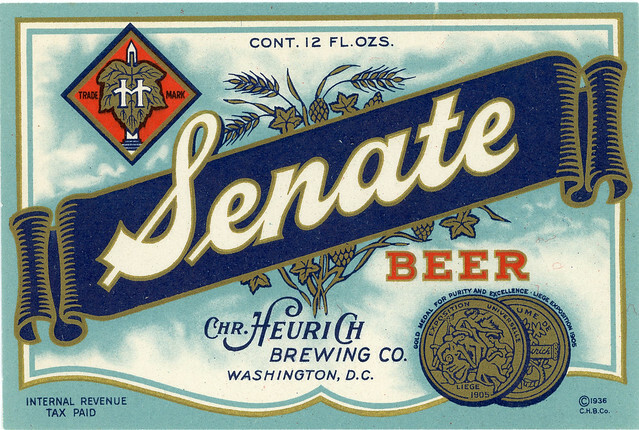 The weeklong celebration honoring the country’s small and independent craft brewery renaissance during the 10th American Craft Beer Week (ACBW) continues, as Senators Ben Cardin (D-Md. ), Susan Collins (R-Me. ), Maria Cantwell (D-Wash.) and Kelly Ayotte (R-N.H.) introduced a resolution, S. Res. 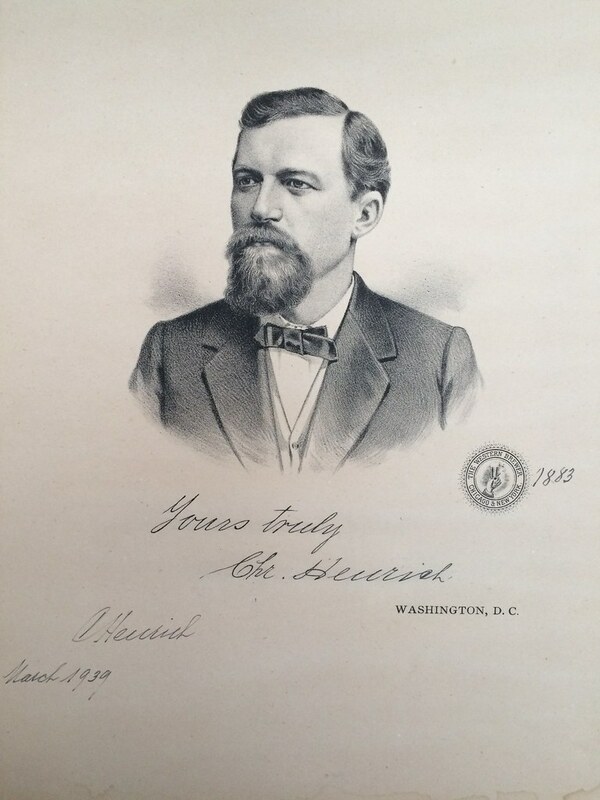 188, expressing the Senate’s appreciation of the goals of the week and commending the craft brewers of the United States. The U.S. Senate passed S. Res. 188 by unanimous consent. From May 11-17, all 50 states witnessed over 2,000 registered ACBW events, including exclusive brewery tours, special craft beer releases, food and beer pairings, tap takeovers and more, to honor the ever-advancing craft beer culture and unite tens of thousands of beer lovers nationwide. CraftBeer.com also created an interactive graphic featuring fun facts to commemorate each state and its respective commitment to craft brewing. 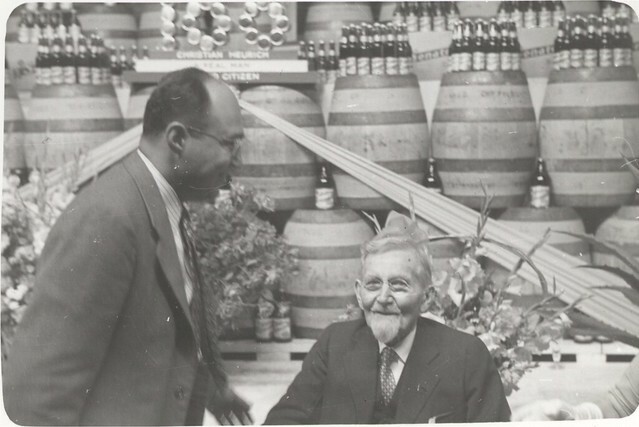 In addition to expressing gratitude for the goals of ACBW, the resolution recognizes the significant contributions of the craft brewers of the United States to the economy and to the communities which the craft brewers are located. 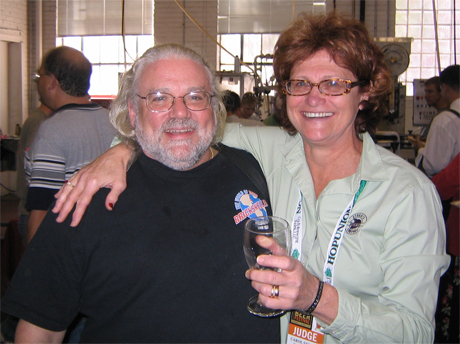 The resolution also commends craft brewers for providing jobs, supporting agriculture, improving balance of trade—particularly by producing many sought-after new and unique styles ranging from smoked porters to pumpkin peach ales—and educating the country and beer lovers around the world about the history and culture of beer, while promoting legal and responsible appreciation. 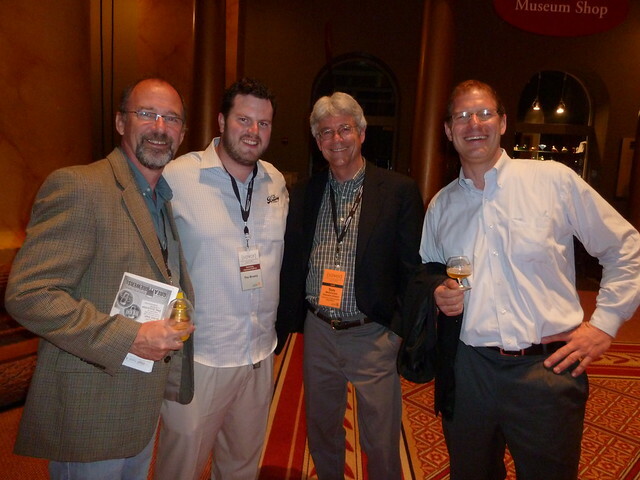 The Brewers Association (BA) announced today that the United States Senate established a Senate Small Brewers Caucus. The new Caucus was founded by Senators Max Baucus (D-Mont.) and Mike Crapo (R-Idaho). 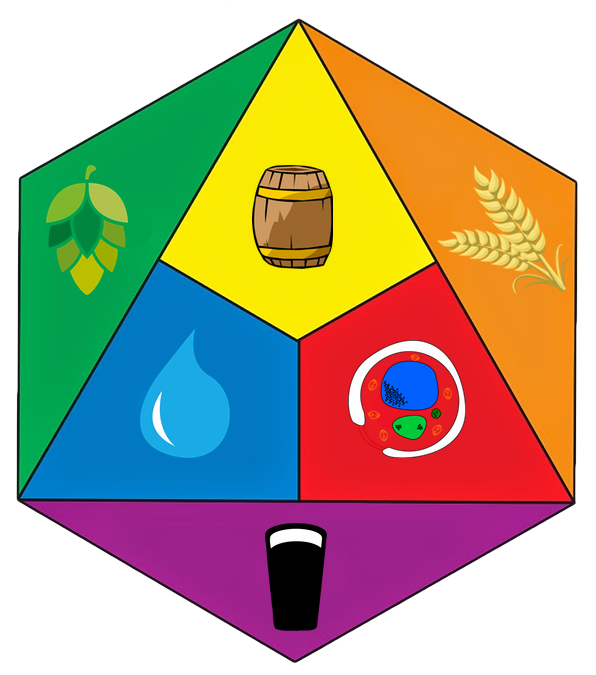 The caucus will also provide opportunities for Senators and staff to learn about the science and art of brewing beer, and the unique cultural and economic contributions made by small brewers to their communities. Currently, the 1,700+ small American breweries account for about five percent of all the beer enjoyed in the United States and 50 percent of brewery jobs—-totaling some 100,000 good-paying part- and full-time positions across the country. I think I’ve mentioned before that my wife is a political news junkie. She just sent me this link from one of the most popular political websites, Politico, entitled Craft beer bridges partisan divide in Senate. It’s nice to see beer getting some mainstream attention. 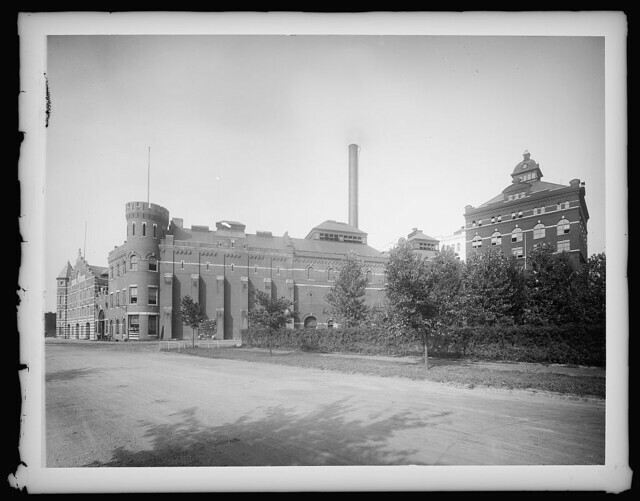 The Politico article is all about the introduction Wednesday of BEER, “Brewer’s Employment and Excise Relief Act,” which would cut taxes for microbreweries and on the production of smaller quantities of beer barrels, among other things. It was introduced in the Senate by Republican Mike Crapo (Idaho) and Democratic Senator John Kerry (Massachusetts). 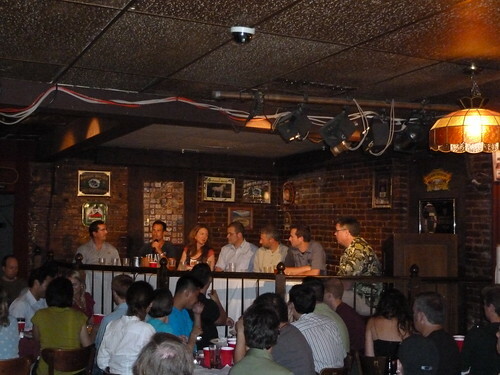 Although Senator Kerry misstates that the “craft beer revolution started right here in Massachusetts,” I think we can forgive him for that one, having obviously been talking with Jim Koch for many months about this bill. 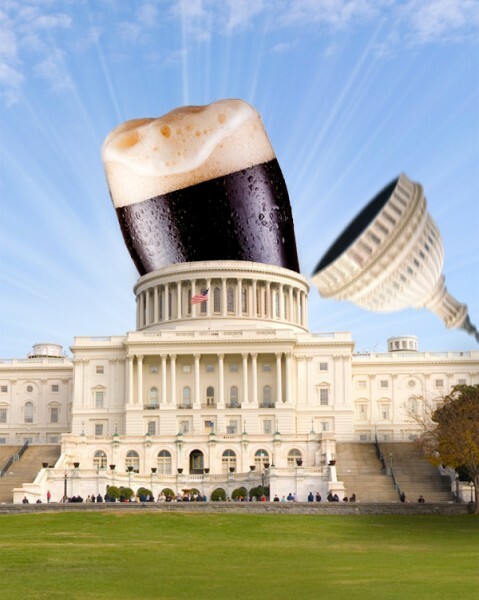 Washington, D.C. — Senators Mike Crapo (R-Idaho) and John Kerry (D-Massachusetts) today introduced legislation to reduce the beer excise tax for America’s small brewers. The Brewer’s Employment and Excise Relief (BEER) Act will help create jobs at more than 1,600 small breweries nationwide, which collectively employ nearly 100,000 people. Idaho and Massachusetts are home to dozens of small breweries. Because of differences in economies of scale, small brewers have higher costs for production, raw materials, packaging and market entry than larger, well-established multi-national competitors. The BEER Act also helps states that produce barley, hops and other ingredients used by these small brewers. In addition to Senators Crapo and Kerry, the legislation is co-sponsored by a bipartisan coalition of 16 additional Senators. Currently, a small brewer that produces less than two million barrels of beer per year is eligible to pay $7.00 per barrel on the first 60,000 barrels produced each year. This legislation will reduce this rate to $3.50 per barrel, giving our nation’s smallest brewers approximately $19.9 million per year to expand and generate jobs. This change helps approximately 1,525 breweries nationwide. Currently, once production exceeds 60,000 barrels, a small brewer must pay the same $18 per barrel excise tax rate that the largest brewer pays while producing more than 100 million barrels. This legislation will lower the tax rate to $16 per barrel on beer production above 60,000 barrels, up to two million barrels, providing small brewers with an additional $27.1 million per year that can be used to support significant long-term investments and create jobs by growing their businesses on a regional or national scale. 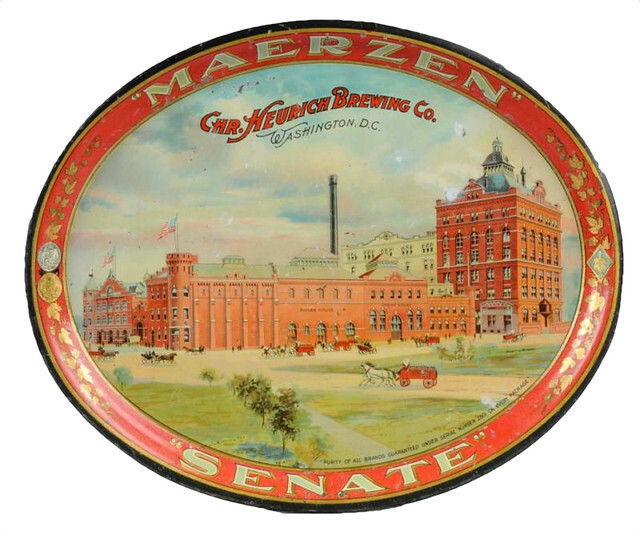 The small brewer tax rate was established in 1976 and has never been updated. This legislation would update the ceiling defining small breweries by increasing it from two million barrels to six million barrels. 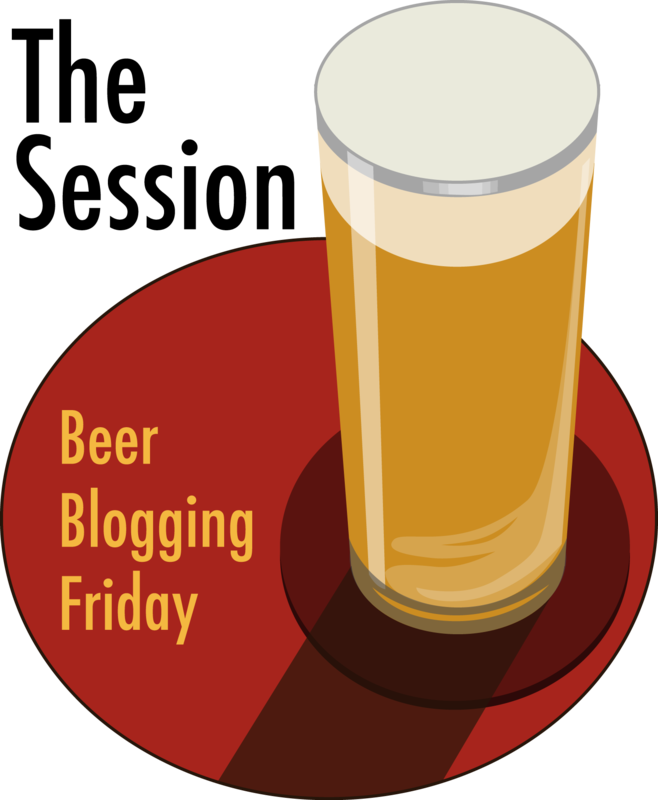 Raising the ceiling to six million barrels more accurately reflects the intent of the original differentiation between large and small brewers in the U.S. The Brickskeller is now re-opened, only a week after it changed hands. 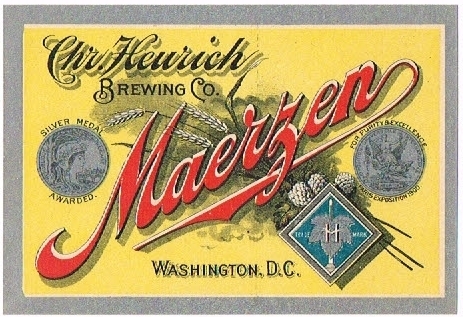 The original name was reported to be “Rock Creek,” but according to D.C.’s Young & Hungry blog, that name was already taken and eventually they settled on the “Bier Baron” as the new name. A new canopy sign won’t be up until Friday, followed by more improvements and, presumably, a new website in the coming weeks. New owner Megan Merrifield expects to “have 500 different beers, and every one of them, without question, will be available.” 350 were bequeathed by Dave and Diane Alexander and the rest will be sourced by Merrifield and her new crew, a few of which are employees who worked for the Brickskeller. Megan Merrifield and her husband are buying The Brickskeller, a haven for beer lovers on 22nd Street in Northwest. The report adds that December 23 is the expected closing date and that the new owners hope to re-open just a few days later, possibly as soon as the 26th. The Merrifields also own several area hotels, such as the Windsor Inn, Embassy Inn and the District Hotel. Rumors have been flying around for months, and now it looks like it’s just about official. 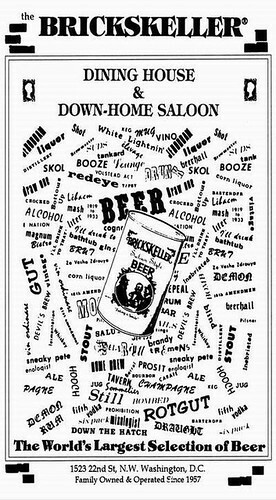 The world-famous Brickskeller pub in Washington, D.C. on 22nd Street NW will be closing shortly. Opened by Diane Alexander’s family in 1957, and operated for many years by her and her husband Dave Alexander, the building will apparently be renovated and turned into a boutique hotel. The Alexander’s will retain the rights to the name and most likely moved the Brick to another location. As far as I know, their other location, RFD, is unaffected by the deal and may at one point even transition into the new Brickskeller. 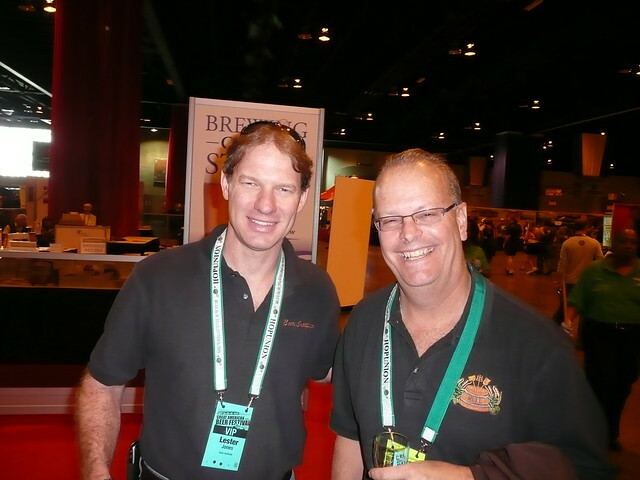 Bob Pease, COO of the Brewers Association (left), with Dave Alexander at a Brickskeller event this July. 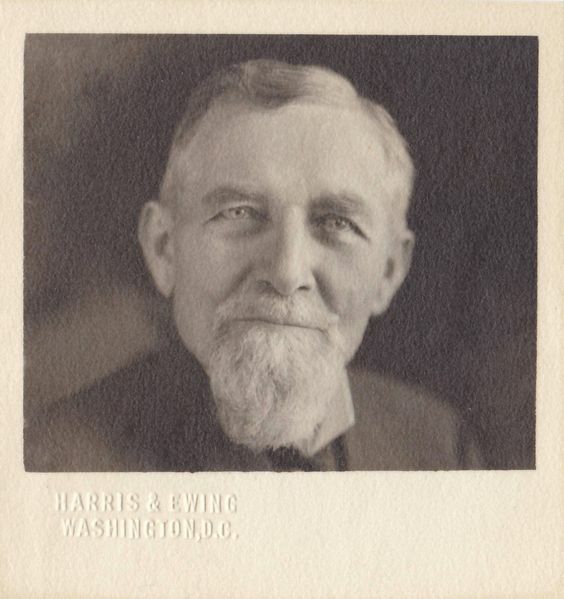 The Washington City Paper blog Young & Hungry floated the rumor at least as far back as early October. Yesterday, the DC Beer blog tweeted that a “credible source [told them] that The Brickskeller will shut it’s doors for good on 12.18.” Young & Hungry picked it up from there and so has TBD Neighborhoods. 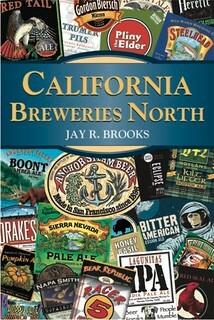 And All About Beer publisher Daniel Bradford posted the news of a pending Brickskeller sale on his Facebook page. 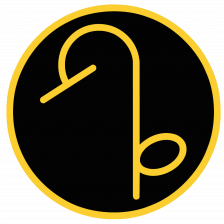 Between that, and my own unnamed sources, it looks like this is going to happen. I haven’t had a chance to talk to Dave Alexander yet, but I suspect that’s the next call. It will be sad to see the Brick gone. 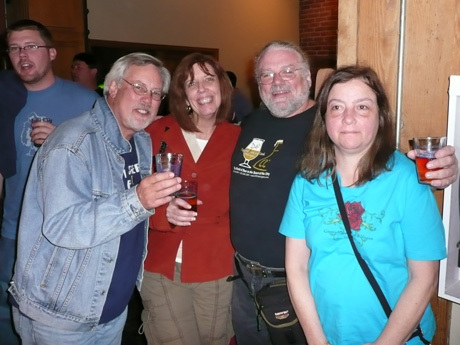 The last time I was there was July and it was great seeing the place packed for an event with several of the brewers attending SAVOR. If you’re planning on going to either Jon Stewart’s Rally to Restore Sanity and/or Stephen Colbert’s March to Keep Fear Alive on October 30 — or if you just happen to live in the Washington D.C. area — you’re most likely going to need something to do the night before. If so, have I got an event for you. 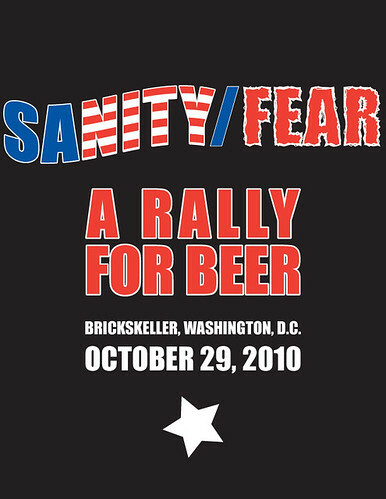 The Brickskeller in D.C. will host Sanity/Fear: A Rally for Beer on Friday night October 29, 2010. 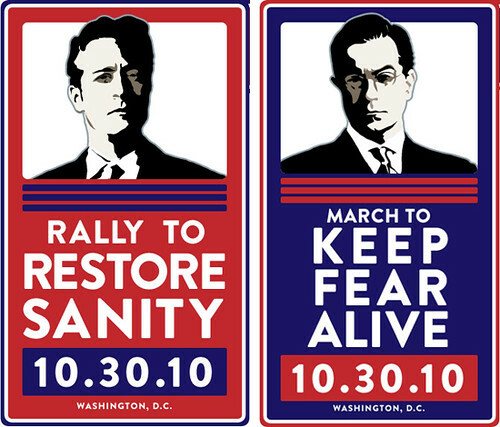 This is coincidentally the eve of A Rally for Sanity with Jon Stewart (The Daily Show) and Keep Fear Alive with Stephen Colbert (Colbert Report) on Saturday afternoon on the mall at our nation’s capitol in Washington, DC. 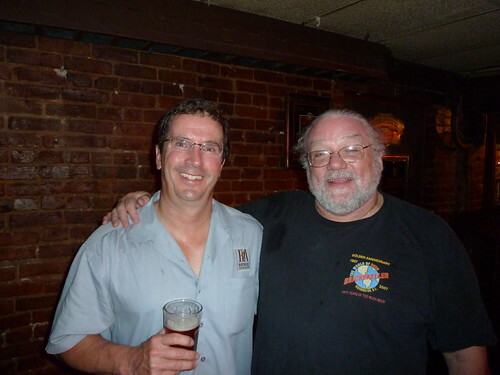 Join Celebrator Beer News publisher Tom Dalldorf (who’s alter ego Glenn Becks is named for a mediocre German import) as we consider Sanity in brewing and Fear of extreme beers with brewers Bill Madden, Mad Fox Brewing Company, Falls Church, VA and Jason Oliver, Devil’s Backbone Brewing Company, Roseland, VA. Several of their best efforts will be served along with some cellar treasures selected by the Brick’s Dave Alexander. Following this will be a performance by the Rolling Boil Blues Band defying Sanity by instilling Fear via beery tunes like Hop This Town, This Beer’s For You, Homebrew Hand Jive and (sadly) many more! 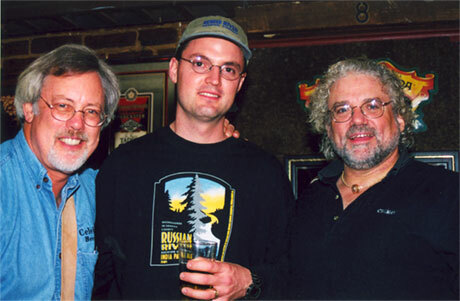 The band features Dave Alexander on lead guitar and Tom Dalldorf on so-called vocals. Fortunately, the beer will be flowing! Brings two brewmasters to our stage in a bearish recreation of the following days rally! 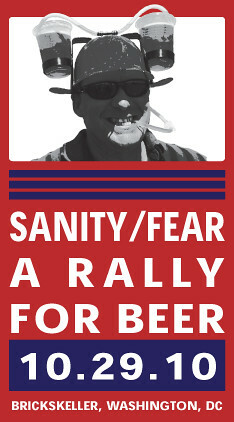 Dave’s old buddy, Rolling Boil Blues bandmate and fearless leader Tom Dalldorf, owner / publisher of Celebrator Beer Magazine returns to the Brick for a beerish re-creation of the next day’s Stewart-ish and Colbert-ish rally in a Sanity vs. Fear beer tasting! Tom always brings the bestest of the bestest beers to his events! Oh yeah don’t ya know after we gets’ em liquored up our lucky toe tapping guests will be closing their eyes screaming check please and covering their ears while me Tommy and a couple of real musicians get up on stage and start feeding back and blowing the endings to our favorite beer infused tunes!